ENSPAR is a proprietor-run company operating on an international stage from its headquarters in Bad Wünnenberg, North-Rhine Westphalia. 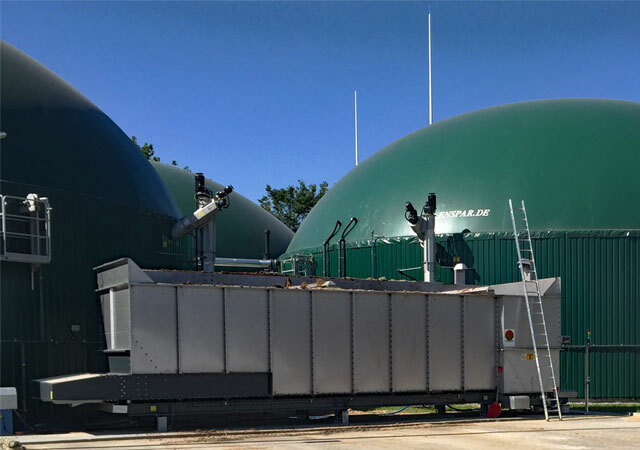 Founded by Michael Hannes, a seasoned veteran of over 150 successfully completed projects, ENSPAR is among the leading providers in the area of biogas technology. Employing a multinational team of engineers and energy and environmental technicians with long-standing experience and comprehensive expertise, ENSPAR guarantees ideal, integral solutions for a broad range of sectors. The following section describes a biogas plant that ENSPAR implemented in eastern Europe for a pig breeding and fattening business with abattoir operations. 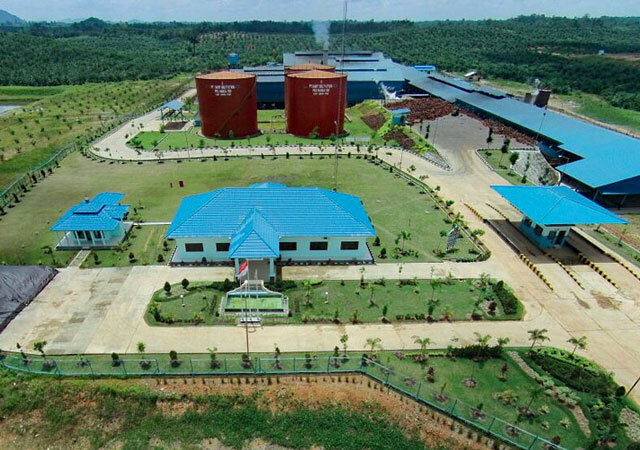 The plant is already in operation and generates highly-efficient, energy-rich biogas. Yielding 800kW, it has an annual capacity to process and ferment up to 32,000 t of abattoir waste. 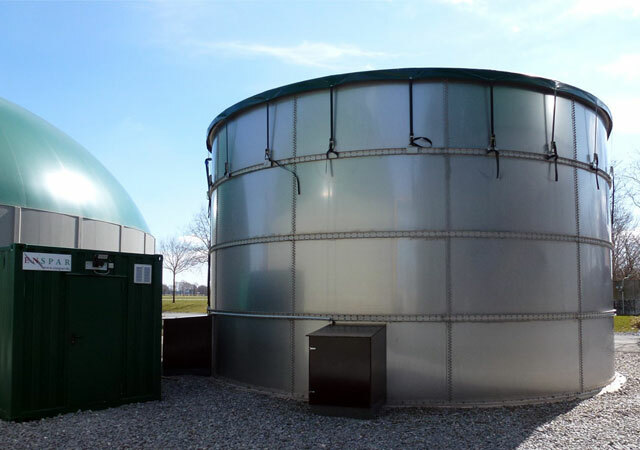 The biogas plant was integrated on the grounds of the farm – which operates as a hermetic system – in an area set aside exclusively for manure storage. 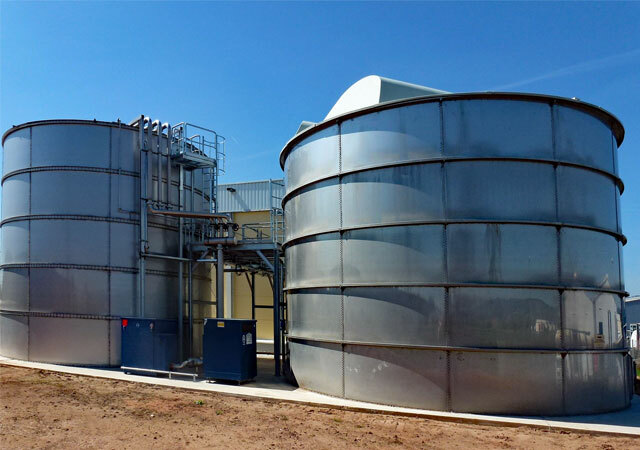 The constructed system is a multi-stage plant for the fermentation of organic waste and renewables based on the anaerobic, wet fermentation method. Particular attention was paid to keep operations low in energy consumption and emissions. 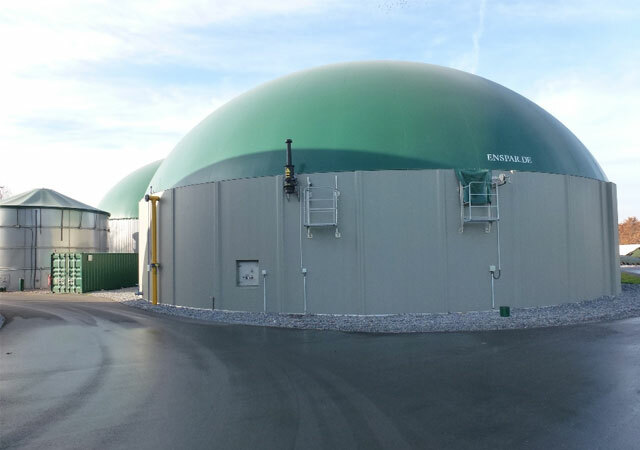 Produced and stored in four stainless steel fermenters, the biogas is fed over four gas turbines installed in the original building. A biological procedure of upstream desulphurisation is applied, and the biogas is then dried; all traces of sulphur are then removed in an activated carbon filter. The turbine waste heat systems are fitted with cooling and waste heat exchangers. Waste heat is used to ensure hygiene in the abattoir waste, to control the temperature of the fermenters and to heat the sheds, etc. 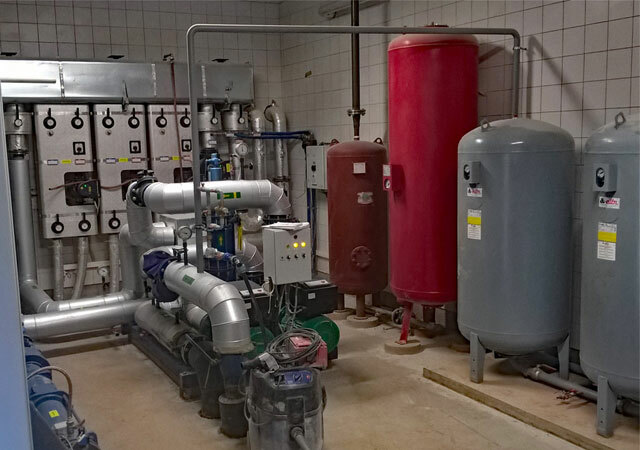 In addition to the biogas plant, ENSPAR also delivered the technical equipment for substrate treatment and the pasteurisation/sterilisation facilities. The intake area comprises a pit, in which the components to accept, crush and place the abattoir waste in temporary storage are installed. A hall – divided into a white and a black zone – was built to handle treatment. The intake, pump, treatment and control equipment is also installed here. Multi-stage crushing and thermal treatment are used to process the abattoir waste. Intake of liquid substrates like blood is separate, and they are then sterilised together with the abattoir waste. After a cooling phase, the blend is fed into the biogas plant for fermentation. The plant control units – also supplied by ENSPAR – are used to monitor, operate and adjust the plant safety devices, sensors and motors. They control the automatic processes, e.g. plant infeed, as well. An experienced ENSPAR engineer managed the start-up phase, trial operation and on-site support once the plant was complete. Businesses around the world are searching for an alternative to corn silage as a substrate in the production of biogas. Straw, a by-product in the grain industry, offers itself as a good option here. Current state-of-the-art technology can use straw to obtain 50–70 percent of the gas yield otherwise produced by corn silage. Straw is therefore a real alternative for farms producing grain. Combined agricultural businesses that also rear livestock only need to make a few modifications to their workflows to exploit the significant advantages of straw fermentation. A greater use of straw as bedding in the stables and its downstream fermentation in a biogas plant may cut back on the significant costs for mechanical pulping processes. This presents a simple way of using straw as a substrate in the production of biogas. Here, ENSPAR offers an energy-efficient straw pulping process to improve the fermentation capability of straw even further. A combined process of mechanical and biochemical pulping takes place before fermentation in the fermenter that significantly increases the biogas yield from straw. The process parameters in the preliminary stage are monitored constantly and can therefore be kept within the ideal operating range. The substrate is used to fuel the biogas plant once pre-treatment is complete. This is an energy-efficient way of using straw as a natural resource. Straw fermentation is ideal for combination with the fermentation of manure, chicken droppings or residue from the food industry and is therefore a good concept for biogas plants in agricultural regions. Your plant is slightly older or no longer delivers the assured performance? ENSPAR Biogas reactivates and modifies current systems by various manufacturers to make them fit for the future. Naturally, this also includes the repair of defects identified in a compliance audit (safety check). ENSPAR Biogas supports you in ensuring that your plant remains efficient in the long term and that you can be benefit from the flexibility bonus defined in the Renewable Energy Act (EEG). We cooperate with you to prepare a purposeful expansion concept and can guarantee competent implementation using exclusively high-quality components (e.g. gas storage systems with volumes of up to 3000 m³). Our components are low-maintenance, largely made of high-quality stainless steel, and are characterised by durability, efficiency and safety. Their modular structure makes them easy to transport and to ship worldwide.Click on the menu bar on the left for further useful information. Please do not hesitate to call if you have any questions on functions, suitability or installation requirements. Just give us a call. Intuitive user interfaces: Touchscreens, graphic support and flexible interaction – also to upgrade current systems. ENSPAR offers proprietary PLC solutions for specific application scenarios in biogas plants. System operation is facilitated by intuitive process visualisation. Programming and control cabinet assembly take place in-house. ENSPAR systems can be delivered with basic controls. Suitable system features can then be added to customise the ENSPAR basic solution. The basic solution (with ENSPAR-integrated features) supports the relevant control, management and safety function for one fermenter and storage container. The control feature essentially manages the fermenter and storage container, the matching pump and mixing technology, the solid matter dispenser and the signal transmission to a cogeneration unit via floating contacts or profibus interface. ENSPAR stainless steel containers are moulded pieces that are bolted on and that therefore do not require any welding. The ideally selected materials ensure that ENSPAR stainless steel containers can be adapted flexibly to suit various application scenarios. We offer V2A and V4A, depending on the purpose. ENSPAR uses high-quality, prefab sections made of pre-stressed concrete to build its concrete containers. An additional coating can be added if required. This coating effectively protects the very high-grade concrete quality from aggressive chemicals. ENSPAR concrete containers are deliverable in various sizes. A range of models and dimensions are also available. Outstanding surface quality is a common feature of all containers. ENSPAR offers for the dosing of solid substrates, e.g. Maize, GPS, grass silage, feeder and poultry. The feed into the fermenter is carried out with proven screw technology below the liquid level. For the safe and reliable entry of solids into flow-through, closed-loop piping systems, ENSPAR's Liquid-NawaRo-Entry technology is a guarantor. We recommend this technique for plants with a high liquid content and fibrous materials. This entry technology is available for the introduction of up to 5t / h or up to 9t / h. The Fastfeed 300 can handle up to 4 t / h at very low, wear-resistant speeds, while the Fastfeed 400 can deliver up to 9 t / h. By increasing the rotational speed, the feeding power can be increased. ENSPAR offers activated carbon filters to reduce H2S and siloxane in raw biogas. They have a modular structure with 1 to 3 chambers. The gas connections are usually in NW 160, the lateral in-feed nozzles in NW 250, and the inspection apertures for used carbon in NW 400. The diameter is approx. 1.00 m and the height up to approx. 3.50 m. ENSPAR provides filters for biogas flow rates of ~50–500m³. ENSPAR offers gas drying units to dry raw biogas. 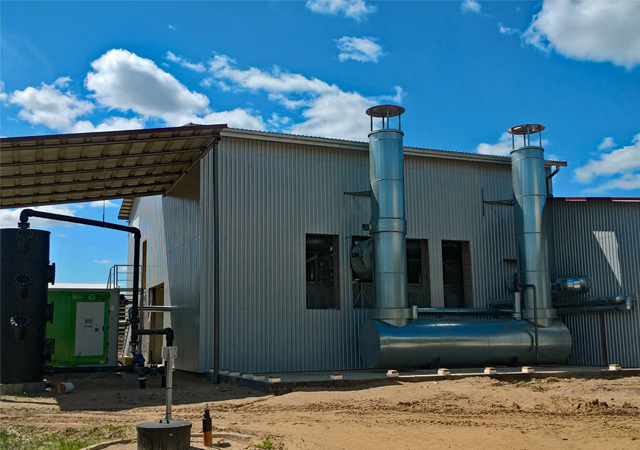 Gas drying units cool the raw biogas and extract the condensation in a controlled environment. The gas drying unit is integrated in the gas lines and is intended for outside assembly. 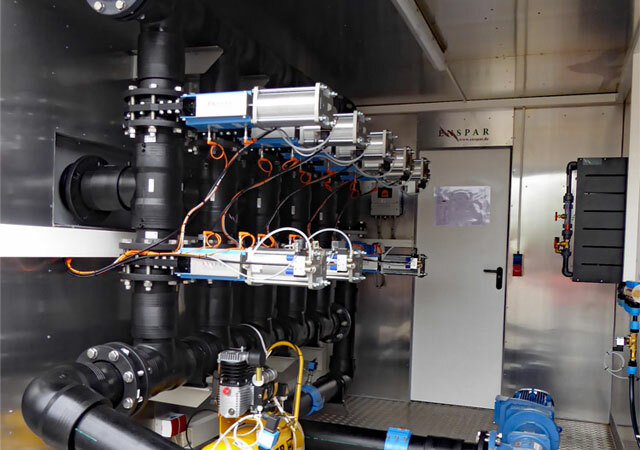 For desulphurization with oxygen, ENSPAR offers prefabricated compact desulphurisation units with individually adapted pumps. ENSPAR gas flares are made of stainless steel, suitable for a gas pressure range of ~ 2.5 bis ~ 5 mbar, and enable operation with up to four starts, even in the event of power outages. Flare control with 1 x floating output contact for external malfunction query, 1 x input control 230 V, heated control cabinet. The ENSPAR Fiberselect stands for efficient separation technology. The liquid is separated from the source medium (for example fermentation residues or liquid medium) from the solid components by means of a purely mechanical process. With the ENSPAR Fiberselect, throughput of up to 150 m³ / h can be achieved. The ENSPAR Fiberselect is available in different versions. As standard, we offer a unit for pressing off solids with a breach-proof discharge through a sealing disc. This achieves up to 38% TS content in the solid. Pump and mixing technology play a significant role in the process engineering of biogas plants. They are needed for heat distribution and automated redistribution procedures like in-feed management and to balance filling levels. 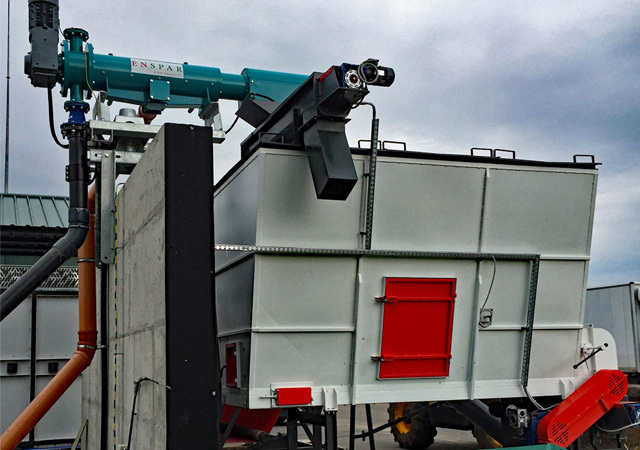 ENSPAR provides stationary, slow or fast running and mobile mixers powered by submersible motors (SMM) for the distribution of materials in containers. The stationary SMM have large mixer diameters and run frequency-controlled. These mixers provide homogeneous distribution within the container. The mobile mixers move up and down a control rail and can also be turned by ~180°. The eccentric screw pumps with bearing bracket are universal pumps that are suitable for the transport of almost all low to highly viscous media. These pumps are ideal for intake, charging, dosage and recirculation processes. Regulation (EC) No 1069/2009 divides substrates into three categories. A separate pre-treatment of the substances is necessary, depending on their classification. Abattoir waste requires 30 minutes of pressure sterilisation with approx. 2–3 bar overpressure at a temperature of 133 °C. Moreover, the sterilisation substances must be subjected to pre-treatment and heating or cooling. 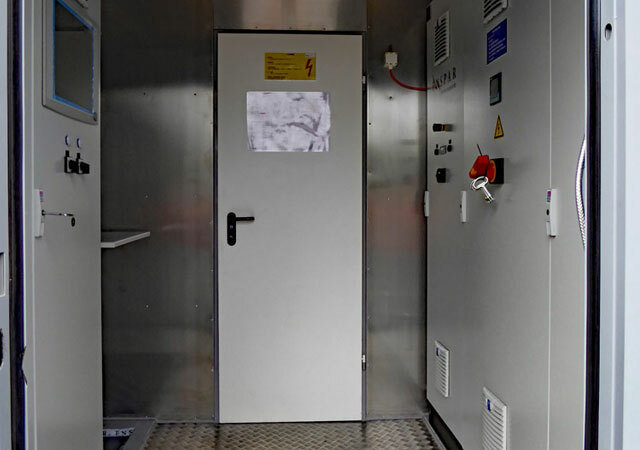 The overpressure in the sterilisation container necessitates the installation of various safety engineering facilities. Pasteurisation is sufficient for the treatment of bio-waste, for instance. The pasteurisation takes place at 70 °C. It does not require a pressurised state and must be performed over 1 hour. ENSPAR provides individual components and complete systems with measurement and control technology for both of these methods. External heat exchangers are used for various applications, e.g. For retrofitting containers, rapid heating as required or for sterilization technology. In addition to standard products for heating, ENSPAR offers heat exchangers made of stainless steel for the heating / cooling, for example, input materials for sterilization. ENSPAR offers accessories for stainlees steel and concrete tanks. In contrast, methane can be used in a green and lucrative way if the fermentation process is controlled in a biogas plant. We assess your various organic residues to identify the future raw materials for use in biogas production and offer you treatment technology for energy-efficient exploitation that is individually selected for your specific location. 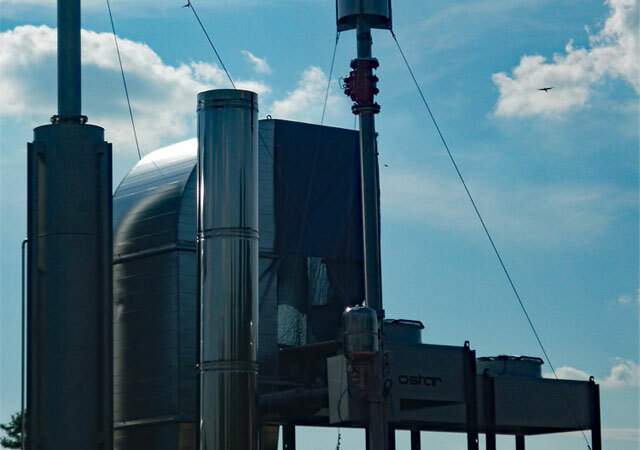 We would be delighted to explain the details of modern and industry-specific biogas technology in an extensive information and consulting meeting. Any organic residues (input substances) acquired during industrial processes can potentially be used in biogas plants. 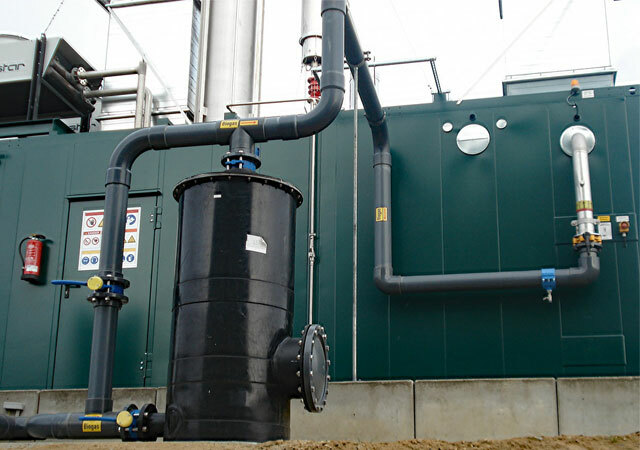 A broad variety of raw materials are suitable to run industrial biogas plants. They include sewage sludge, grain residue, food or abattoir waste or organic, industrial waste from breweries, including marc or pomace, also production residue from vegetable oil processes, for instance the effluents from palm oil mills. 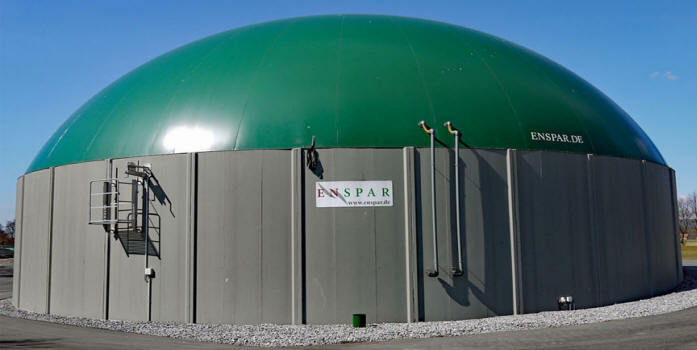 The biogas plants by ENSPAR are designed in such a way that they extract the best possible energy yield from the input substances; they are therefore able to cover a part of a company's energy requirements and/or produce energy for commercial exploitation. Energy generated in this way can hence be used to compensate energy expenditure and to reduce costs. ENSPAR has long-standing experience in the planning, construction and commissioning of anaerobic fermentation plants ranging from small systems to facilities in a megawatt range. We provide particularly robust crushing and dosage units, as well as modules for the sterilisation and pasteurisation of fermentation substrates/residues, in the industrial sector. Agricultural businesses have made a significant contribution to developing biogas plants in Germany and are pioneers of biogas technology. As far back as the 1990s, the sector recognised that substrates obtained during animal husbandry, renewables and production residues can be fermented in a biogas plant. Heat and electricity are readily available. The integration of private households in the local heat network is a success story, especially in rural communities. Today, innovative developments in the construction of biogas plants enable the exploitation of new substrates for fermentation, among them straw or dried chicken droppings. It can therefore be worthwhile to reassess input substances previously considered unsuitable and to calculate the costs and benefits of building a new plant. The recently introduced Renewable Energy Act (EEG) also provides lucrative incentives for expanding current systems. You will find more detailed information in our plant concepts, e.g. for straw fermentation, or for system expansions. ENSPAR has built countless biogas plants in the agricultural sector and possesses a real treasure trove of experience. We provide you with hands-on assistance in preparing a concept and building a new biogas plant, and also offer interesting modules for system expansion. Moreover, there is the option of equipping your current manure storage facilities for integration within a plant concept and/or of building emission protection roofs for your open storage containers. Municipalities are responsible for the disposal of organic waste and for the purification of wastewater. 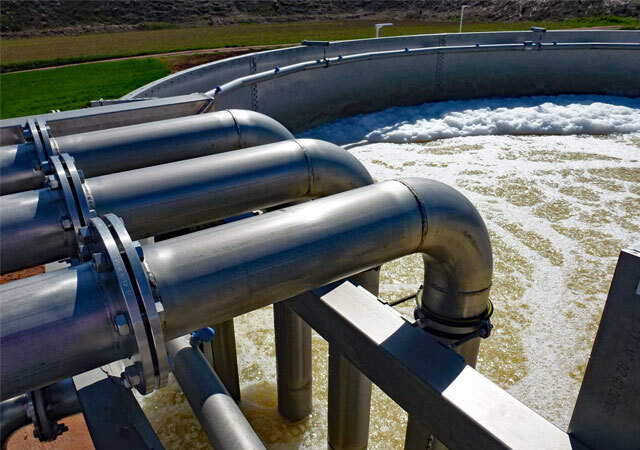 Conventional disposal produces widespread emission of greenhouse gases, while the management and purification of wastewater requires substantial energy input. Energy-efficient use of waste and wastewater can improve the energy balance and contribute to reducing emissions. The right concept can transform small communities into energy villages. For instance, development of the local heat network can supply the village with heat, while a biogas station can provide the inhabitants with fuel. The villages become effectively energy-autonomous with the right combination of biogas, solar power and other sources of renewable energies. ENSPAR collaborates with you to prepare concepts for the exploitation of highly contaminated wastewaters as input substances for a biogas facility installed in a sewage treatment plant (for instance, POME fermentation). 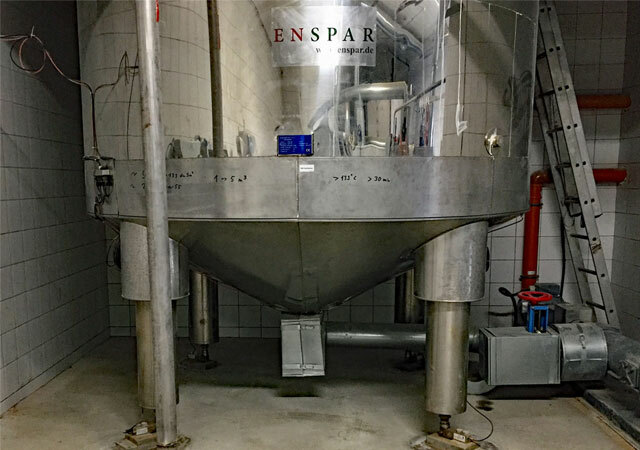 ENSPAR provides technology for the treatment of fermentation residue, including separation, drying and treatment of liquid residues from biogas plants and gas treatment technology for the conditioning of biogas.